This 6.1-6.5 oz. 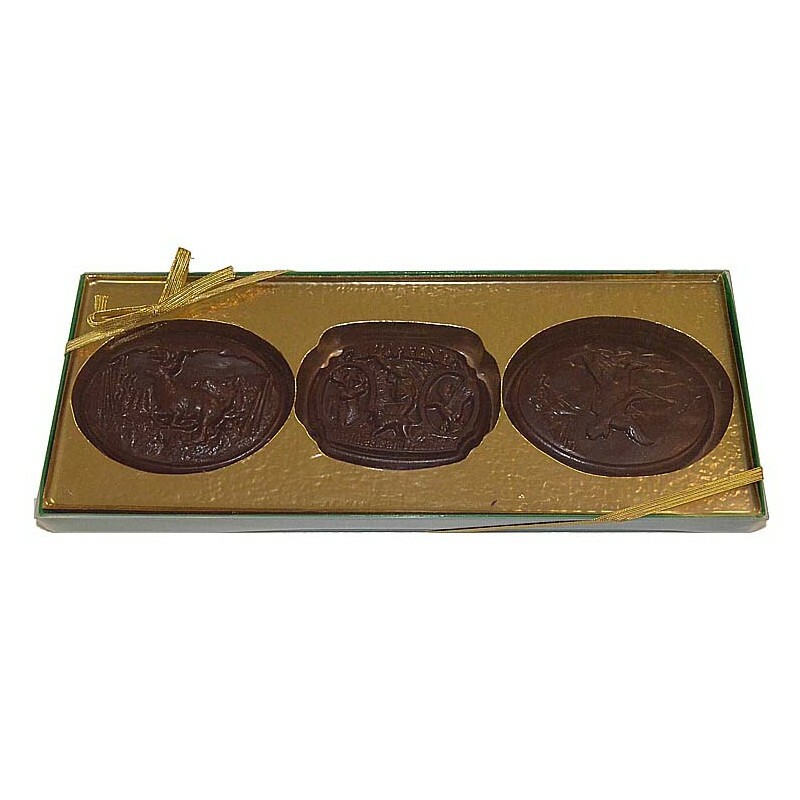 box of uniquely shaped chocolates depicts 3 separate hunting scenes. 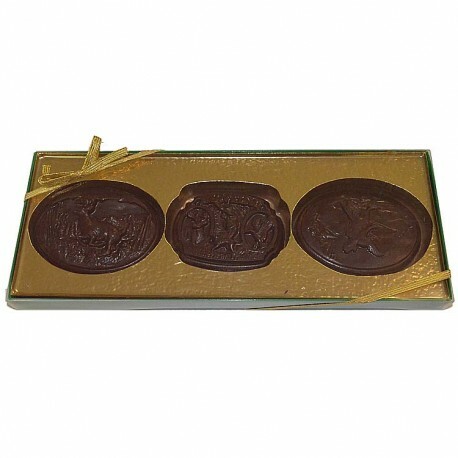 It would be a great treat for any hunter! It is available in Milk, Dark, or White Chocolate.